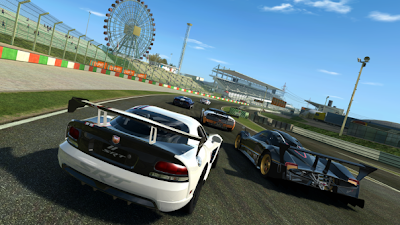 EA releases Real Racing 3 for BlackBerry 10 devices. As the name suggests, Real Racing 3 is a racing game, developed by Firemonkeys Studios and published by Electronic Arts. You can download the free game from BlackBerry World and it works with BlackBerry OS 10.0.0 or higher devices. Real Racing 3 sets a new standard for mobile racing games. Trailblazing new features include officially licensed tracks, an expanded 22-car grid, and over 50 meticulously detailed cars from makers like Porsche, Lamborghini, Dodge, Bugatti, and Audi. Plus, racing with friends gets kicked into another dimension with the reality-bending Time Shifted Multiplayer (TSM) technology. Welcome to the definitive racing experience for everyone, everywhere.